By far, the largest music event in Southern California, the Coachella Valley Music and Arts Festival will highlight some of music’s greatest performers. Visit the http://coachella.com for details. A new event will take place at the Rancho Mirage Library and Observatory. The Rancho Mirage Writers Festival Film Club is a free series, held on the third Thursday of each month from September 2018 to June 2019. The Stagecoach Music Festival is one of country music’s most highly anticipated events of the year, and the 2019 fest will be more exciting than ever. With performances by the top country music acts, this festival has something for everyone who follows country music. The City of Rancho Mirage, in Partnership with Desert Recreation District, invites the public to the inaugural Cinema Under the Stars series. Modernism Week’s signature February Event is an annual celebration of mid-century modern design, architecture, art, fashion and culture. This exciting festival takes place in February in the Palm Springs area of Southern California. On July 19th, The Rancho Mirage Restaurant Association, the Rancho Mirage Chamber of Commerce and the City of Rancho Mirage kicked off the 3rd Annual Taste of Summer Rancho Mirage, an event whereby participating Rancho Mirage restaurants and resorts have created cool summer specials. Over 90 juried artists will display their artwork and crafts for purchase. Paintings, drawings, sculpture, ceramics, jewelry, glass, apparel and much more will be featured in this enjoyable two-day event. Modernism Week is an exciting 11-day celebration of mid-century modern design, architecture and culture in Palm Springs, California. This design aesthetic originated in the 1940s, 50s, and 60s, and was typified by clean, simple lines which came to define desert modernism. Modernism Week is filled with a variety of events including architectural tours, films, lectures, an architectural symposium, educational events, and chic, fun parties in cool mid-century modern homes. The Rancho Mirage Writers Festival is an annual celebration of writers, books, readers, and ideas! The City of Rancho Mirage, California will welcome authors and readers to the Rancho Mirage Public Library. Writers will talk about their books, their source of ideas, and the mechanics of writing for publication. The 13th annual Desert Woman’s Show shines the spotlight on women’s issues while focusing on spring fashions and accessories, home décor, nutrition and fitness, personal development and Chef samplings. The Palm Springs International Film Festival (PSIFF) is one of the largest film festivals in North America, welcoming 130,000 attendees each year for its lineup of new and celebrated international features and documentaries. 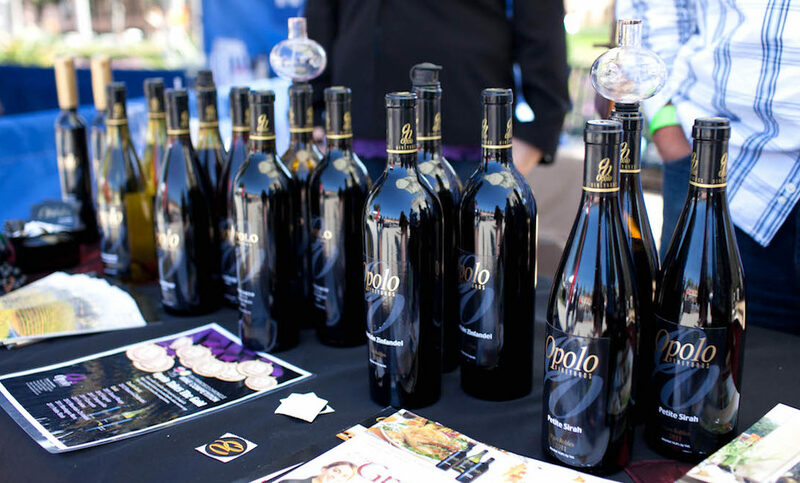 Discover the incredible eateries that will be joining us for the 2020 Rancho Mirage Wine & Food Festival! Beginning on February 24th, the City of Rancho Mirage, in partnership with Marker Broadcasting, will present the 4rd annual Music in the Park concert series. The City’s premiere outdoor concert venue, the Rancho Mirage Amphitheater at Rancho Mirage Community Park will once again host this extraordinary event. The BNP Paribas Open is a two-week combined ATP World Tour Masters 1000 and WTA Premier event featuring the top men and women professional players competing in a 96 singles draw and 32 doubles draw. The event is hosted at the magnificent Indian Wells Tennis Garden, located in the beautiful Southern California desert. Who’d have thought that Rancho Mirage would ever be known for its water? But in March, water is a primary ingredient in golf history as golf lovers and sports fans are treated to one of professional golf’s most-prestigious and highly-anticipated events, Championship at Mission Hills Country Club.